Although an effective marketing strategy is what keeps your growth elevating in the highly competitive online arena, the high-quality web design and development is something that fastens this process. In fact, it serves as the foundation for your online business success. Where it covers a lot of areas including web design, content development, scripting, web server and network security configuration and e-commerce website development, you need to make sure that your website is proving beneficial for your business right from the start. 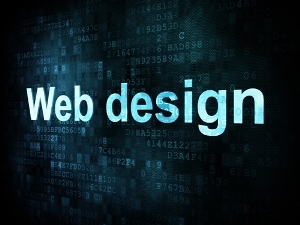 Many businesses realize the true value of good websites, so they opt for professional web design services of a company. Your website serves as an intermediate link between your business and customers/visitors where you represent each and every aspect of your business, services or products through it. This is the reason why it is essential to make sure that your website proves effective for your business, and this is where Numero Uno Web Solutions, the leading web design company in Toronto, can serve you the best. Numero Uno Web Solutions is a global internet marketing and SEO firm based in Toronto Canada that caters to small- and mid-size business-to-business (B2B) and business-to-consumer (B2C) companies where it recently announced its web design principles for small businesses aiming at expanding their brand, increasing traffic, and improving search engine rankings. Well, there are so many small businesses out there, and each of them wants to get the most out of the internet. The competition is on a tremendous rise, and to be in this race, it’s crucial for small businesses to come up with a website that fits in an aesthetically appealing SEO web design and up-to-date conversion strategies. We, at Numero Uno Web Solutions, believe that a well-designed website is the one that works to generate online buzz on a consistent basis where it makes interested visitors to click through and stay on it for a while. Being a website development company in Toronto, Numero Uno Web Solutions provide professional website development services where we intend at expressing your vision and ideas in an interactive and appealing way, providing you with an opportunity to show your business goals to the entire world effortlessly. Our website developers, who are well-versed with latest trends and technologies, brainstorm with clients to know what they want on their sites. In fact, by means of a highly interactive process, we set effective strategies where we cover services including a user-friendly and interactive frontend and backend enclosing the design, coding, testing and maintaining aspects for building your website to e-commerce web design, web application development, CMS website development, etc. Well, many small businesses tend to make use of slick graphics and Flash animation in an attempt to attract the audience through web pages. However, experts believe that most internet users do not stay on one page for more than 15-20 seconds. In fact, this staying time may reduce if a Flash animation is taking 10 seconds to load. If a small business is aiming at increasing brand awareness through a video, they must build links that direct customers to a YouTube account. In fact, we, at Numero Uno Web Solutions, believe that for small business website development, the key is to keep design, and related things simple yet appealing. Well, it always gets easier for users to understand good web design with strong typography and content than complex layouts with many fonts and images. In fact, it also makes it easy for users to navigate through the website, which is not the case with home pages filled with images and volumes of copy, which makes things visually distracting. Small businesses need to keep with basics where they should not underestimate the value of quality content. In today’s world, a good and successful web design is the one that integrates useful, engaging and relevant content with good presentation to attract, inform and motivate site visitors. This is what we believe in, and this is how we work where our web designers at Numero Uno Web Solutions can help your business create an appealing web design suiting the audience’s taste and use the right content to motivate and meet its brand conversion goals. Well, over the long run, the key is to stick with basics and at the same time keep up with latest trends and technologies to make sure that the created website remains universally appealing throughout. Every company looks for reaching new heights and improving business by starting with good web design and development, and this is where Numero Uno Web Solutions’ web development services can help you tremendously leading you towards success.